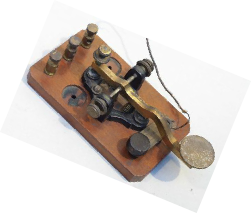 The Morse Code (CW) requirement for an Amateur Radio License was eliminated by the FCC in early 2007. Like so many things in life however, CW does not want to go away ! It seems now the desire to learn code is greater than it was when one had to learn it. Locally we will try a Round Table Mondays around 8pm on 10m Depending on conditions we may move to a different band. Look around the .037 segment of the band. We selected this band to allow all license classes to participate. Newbies are what this is about. If you are looking for 20+ WPM or perfect 5 WPM this is NOT the place for you but we will aim to improve each other as we progress. Please ZERO BEAT or set your Tone Pitch to 800. As time goes on we will try 2m or 70cm using MCW, kits are listed below in MCW & HamGadgets. 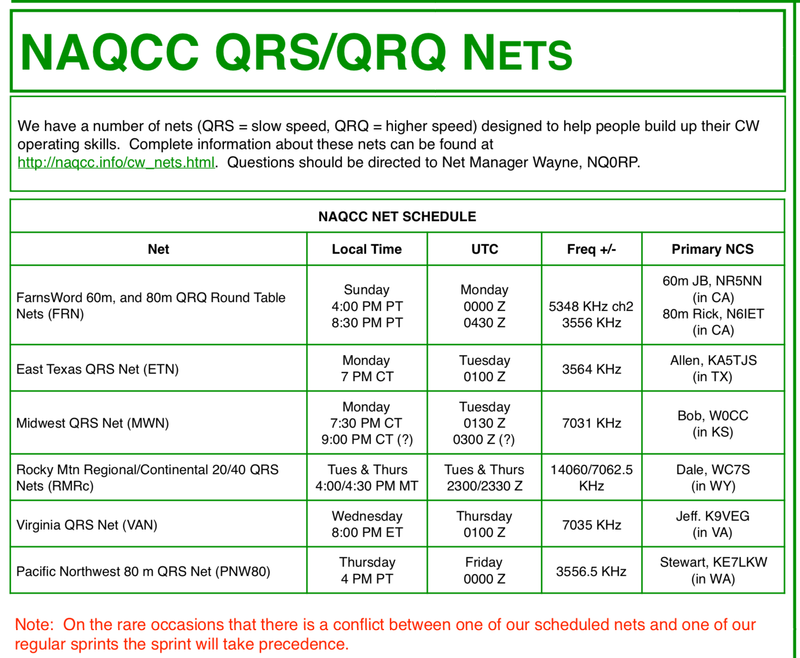 Shoot me an email with questions or comments kk4itx@ arrl.net.